The wee years of the 1980s were a very successful time period when referencing slasher movies. Classic horror movies such as The Shining, Child's Play, Nightmare on Elm Street, Halloween and an innumerable amount of other films terrorized men and woman across the nations during this decade. Since I began watching these movies as a juvenile, the mindset of a serial killer has always intrigued me. I would always question the serial killer's motives and thoughts throughout the feature presentation, but enough about my childhood antics. 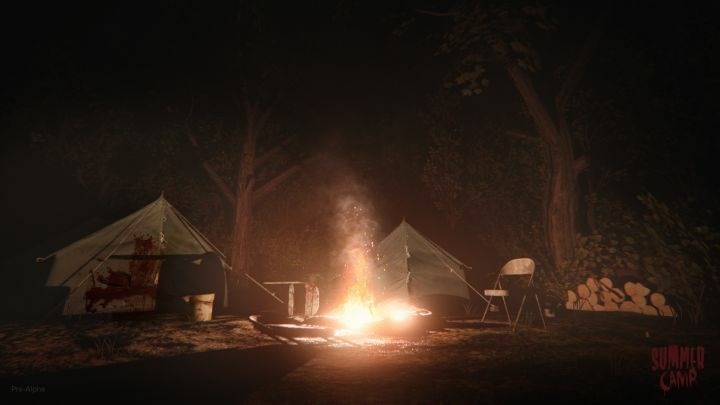 Gun Media Games, a relativity older and unknown game company, has released screenshots of their forthcoming multiplayer horror survival game, Summer Camp, which will be coming to the PlayStation 4, Xbox One, and PC. 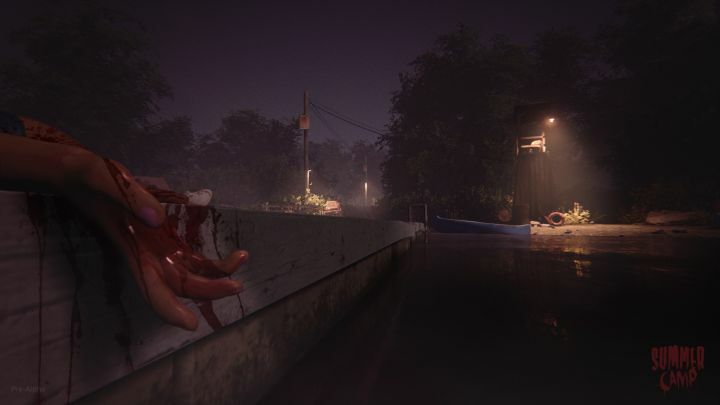 This upcoming third-person title appears to be based upon the well known horror franchise, Friday the Thirteenth. Prepare ladies and gentlemen for a night filled with hacking, slashing, and bashing. We as players, will be made up of 6-7 counselors working at a remote Summer camp called Camp Forrest Green. Your goal is to locate an escape vehicle without being found and brutally murdered by the mentally-disordered killer. Players have the choice between splitting up into smaller groups, and working together as a team. The developers did explain that whichever path the group decides to take, could result in both rewards and or deadly consequences. My personal favorite aspect of this upcoming thriller is the fact that you are never safe. Players must scavenge for weapons to fend off the murderous maniac, which I am presuming to be objects such as sticks or simple traditional weapons including knives and axes. Although I can nor confirm/deny this statement. The psychopathic axe murderer has the choice between an arsenal of weapons, which gives the player a significant advantage. Which position will you be choosing? 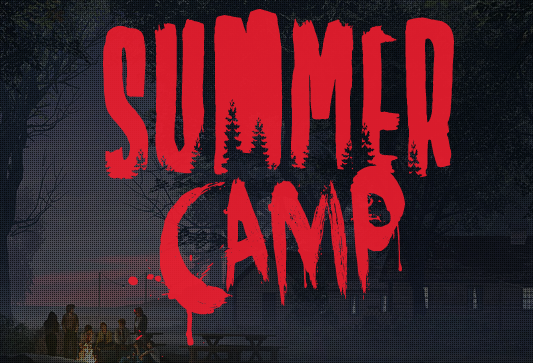 In today's modern society, most older flicks are looked upon as cheesy and tacky, which just so happens to be what the developers want to represent in Summer Camp. Gun Media Games has chosen to use the game engine known as VHS transfer to replicate the typical effects of an older 1980's classic. The graphics look spectacular, and I am extremely excited to see the final outcome. The developers have yet to confirm a release date or a price, but we can hope to see it on the marketplace in the following months. How many here will be purchasing Summer Camp? Personally, I'm just dying to play.